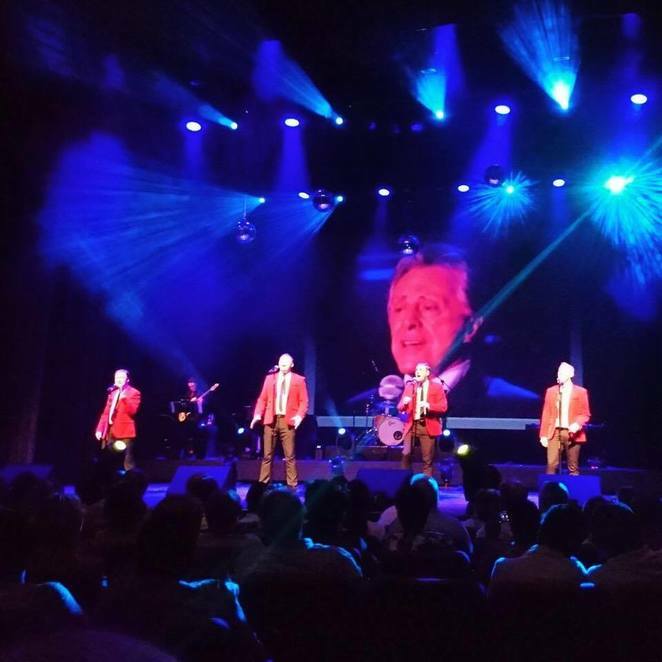 The musical legends that are Frankie Valli and The Four Seasons are brought wonderfully back to life in this exciting and entertaining live stage show that continues its UK tour with a performance at the Lichfield Garrick theatre in Staffordshire. 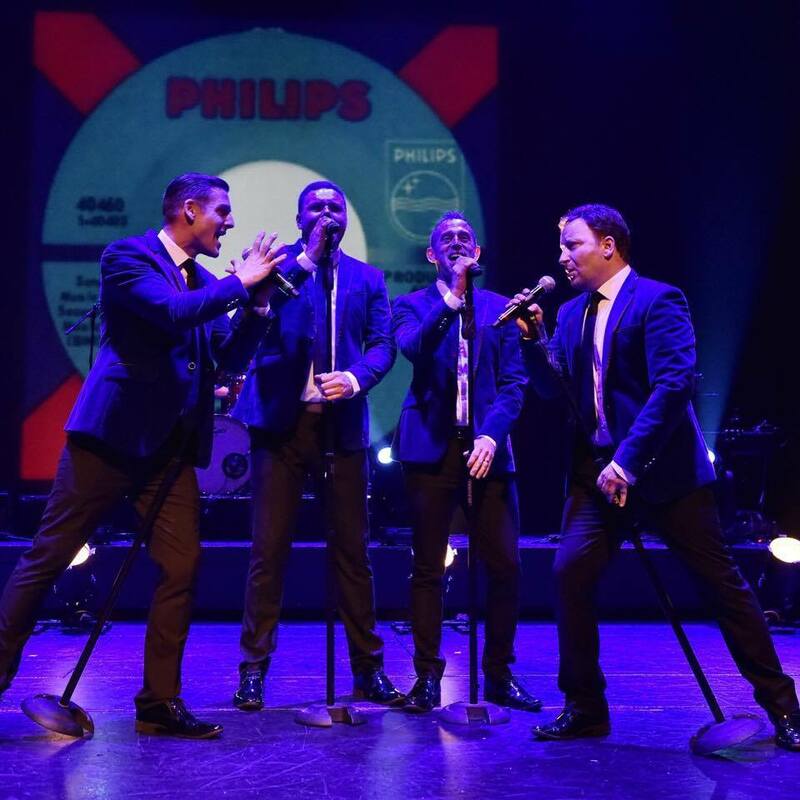 Bye Bye Baby takes its audiences back in time to the heyday of the 1950s and 1960s on a musical journey through the career of Frankie Valli & The Four Seasons, who produced an array of fabulous hits over many years, while also producing songs that graced such films as The Deer Hunter, Dirty Dancing and Grease. From their early beginning in the 1950s, when Frankie first joined the group, Bye Bye Baby celebrates The Four Seasons' greatest hits such as Big Girls Don't Cry, Walk Like A Man, Lets Hang On, Who Loves You, Sherry, December '63 (Oh What A Night), Can't Take My Eyes Off You, Fallen Angel and Rag Doll, as well as the title track of the show. 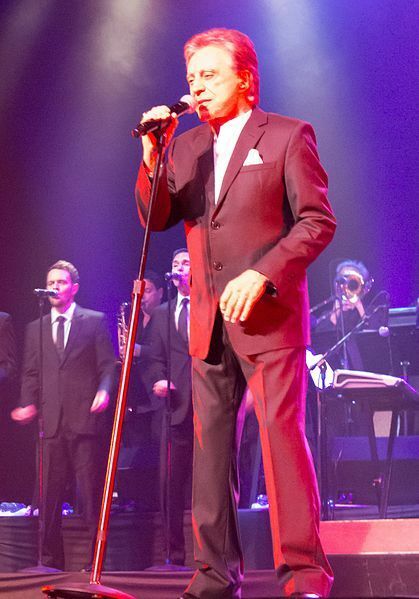 Frankie, famous for his extremely high pitched voice, scored 29 Top 40 hits with The Four Seasons, as well as a further nine Top 40 successes as a solo artist, including the number one hits, My Eyes Adored You and Grease. The original members of The Four Seasons, namely Frankie Valli, Tommy DeVito, Nick Massi and Bob Gaudio, were eventually and rightly inducted into the Rock and Roll Hall of Fame in 1990. Now aged in his 80s, Frankie Valli continues to perform, but Bye Bye Baby recreates the magic and success of The Four Seasons at the height of their fame. Jamie Ledwith scales the falsetto heights in the role of Frankie Valli, while the show also benefits from top class vocals and harmonies, along with excellent choreography and a vast catalogue of hits. It all makes for a memorable and unforgettable night of nostalgia. Bye Bye Baby will be performed at the Lichfield Garrick theatre on Friday 9th February. Tickets priced £24.50 are available by visiting www.lichfieldgarrick.com or by calling the theatre box office on 01543 412121.